We are excited to share that over the course of the next four weeks, we will be hosting mini educational meet and greets from a few of our fantastic skin care lines as well as having some special holiday promotions! To kick off these weeks of holiday savings, our SkinMedica expert, Cherie will be providing product education in our Edina office on Tuesday, November 27th from 9am-11am and later that afternoon at our Eden Prairie office. 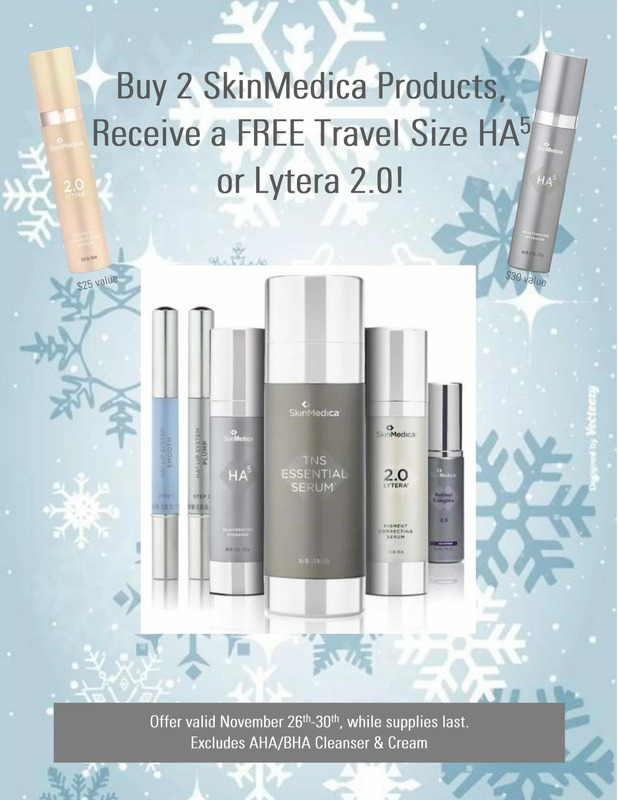 Come stop by to learn more aout Allergan’s product line, SkinMedica, and to receive a FREE HA5 or Lytera with purchase. See below for promotional details and stay tuned for next week’s special!